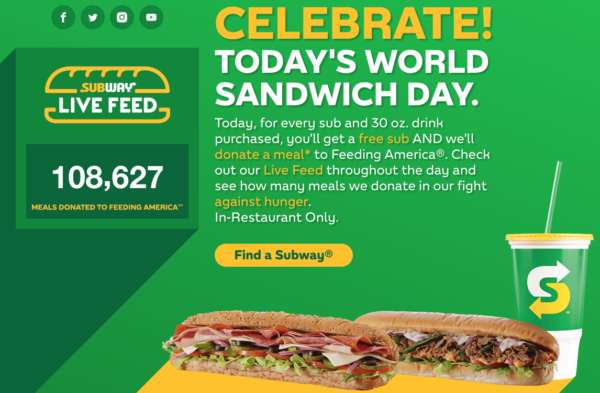 Today (11/3) only, Subway is celebrating World Sandwich Day by offering up a FREE sub sandwich of equal or lesser price when you purchase any sub and 30 oz drink! And in addition to getting a free sub, a free meal will be donated to Feeding America! Go here for more information.